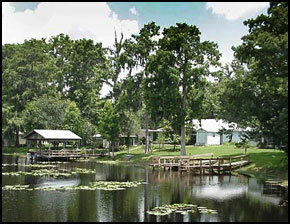 Floral City is a cozy, little “Old Florida” town with about 2,000 residents. 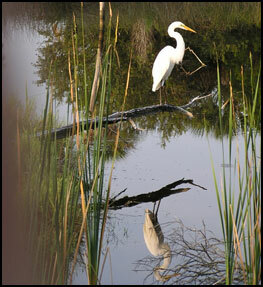 Located in Citrus County in the northwest-central Gulf Coast region of Florida, just a few miles south of Inverness. 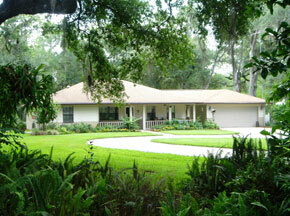 While Floral City is a small town, it is located near other larger towns like Inverness and Brooksville. Also located conveniently close to the Florida Turnpike, I-75, and the new Suncoast Parkway Orlando and Tampa are only 1 hour away and Ocala is less than 45 minutes. Many residents live here for the great quality of life that this rural setting offers and commute to other areas for work. Orange Avenue runs through the center of town and is arguably one of the most photographed streets in America. Lined with ancient oak trees the street is canopied with hanging Spanish moss and dotted with Victorian Style homes built in the 1890's. 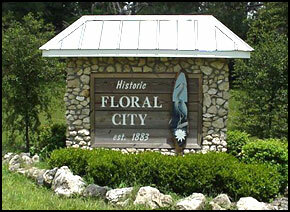 Floral City has the only National Historic District in Citrus County and has been listed as 'The Floral City Historic District on the National Register of Historic Places' since 1993. During the Christmas holidays the street is closed one Friday evening, lined with candles, and serenaded by carolers. This is truly a beautiful evening and something to experience. There are plenty of outdoor activities in Floral City including fishing, hunting, boating, and air boating on the Withlacoochee River and Tsala Apopka Lakes. For nature lovers try some wildlife viewing, or maybe bird watching, hiking, horseback riding, biking and skating on the 46 mile long Withlacoochee State Trail, which is a section of the larger Rails to Trails. The Withlacoochee Bike Trail, as it is sometimes called, runs though quaint downtowns, ranches and into the Withlacoochee State Forest and along the Withlacoochee River. 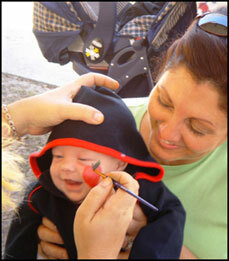 Floral City is also famous for its annual Strawberry Festival, usually held in March each year. The old-fashioned festival always proves to be fun for all, consisting of two days of arts & crafts, games, scrumptious food, live entertainment, pony rides, and even an antique car show. But it’s really all about Strawberries from chocolate covered to ice cream and of course homemade strawberry shortcake. For the history buff this area is full of both Indian and war history. 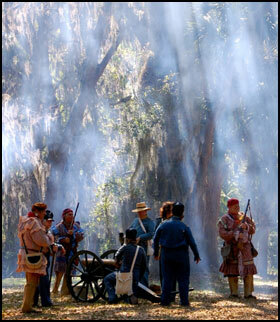 One of the many famous historical attractions is the Dade Battlefield Historic State Park. This area just down the road in the nearby small town of Bushnell is where the battle took place that started the Second Seminole War. It is commemorated in January each year under the oaks of Dade Battlefield. On December 28, 1835, Seminole Indian warriors ambushed 108 U.S. soldiers here and only three survived. The park protects not only a historic battlefield, but also the natural communities as they existed when the soldiers and Seminoles battled here over 180 years ago.